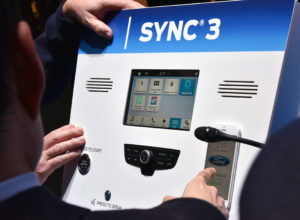 Ford has “a couple things going” studying producing collision estimates based upon telematics data from a connected car itself, Ford connectivity and emerging services global director Mike Tinskey told a TU-Automotive webinar last week. Tinskey said Ford and Georgia Tech had launched a project to study this, and the OEM had an experiment involving comparing 500 Ford-owned vehicles driven by employees it was comparing against actual claims to make a model. Ford on Thursday was looking into our request for more information about both of these projects. His co-presenter Chris Wiklund, senior product manager of connected car services for Allstate telematics spinoff Arity, said he felt predictive analytics could help in the total loss category. Some total loss predictive analytics offerings seem to rely upon photos, not telematics, but this seems as though it’d change as more cars are equipped to dispense data over the air. For example, CCC product management Vice President David Bliss said in April insurers have begun to use its artificial intelligence Smart Total Loss tool, which can predict whether a vehicle is destined for a salvage auction based upon a photo, on “live claims today.” However, CCC in 2016 annouced a telematics DRIVE system able to predict vehicle damage at the “initial triage” level, using factors like delta-V to classify a crashed car as having light, heavy, or total-loss damage. Wiklund said significant OEM brand defection occurs when a vehicle is declared a total loss, and there’s a good chance the policyholder will switch insurers as well. He didn’t elaborate about how detecting a total loss up-front helped with brand retention — the car’s still totaled, after all — though a recent Nissan example suggests one method. “Consumers may blame the shop if their vehicle is deemed a total loss, which may negatively impact CSI scores,” a slide stated. He said the industry would have to get over that issue to move forward, with OEMs and insurers collaborating on parts cost to make sure they can agree to it. Tinskey called it a “bit of a challenge” for insurers and OEMs. He said his personal opinion was that consumers weren’t “fully aware” which parts were being used in their repair. “That, though, I do believe is changing rapidly,” Tinskey said. Ford polled customers online; some were given the option of parts, while the ones not aware were “quite disappointed” to learn the “standard practice” was not to use OEM parts. Tinskey said some “creative” solution to use OEM parts “across the board” benefiting insurers, OEMs and customers would be needed.